This Gorilla Trekking and Tanzania Safari Package was a bucket list trip designed for 2 couples traveling together. They wanted an up-close encounter with wild mountain gorillas, and also wanted to see lions and elephants on safari. This trip gave them everything they were looking for! They began their Gorilla Trekking and Tanzania Safari Package in Rwanda. They toured the capital city, Kigali, before heading off to the famous Volcanoes National Park for gorilla trekking. Seeing endangered mountain gorillas in the wild was a definite highlight of their trip! They also visited Iby’iwacu Cultural Village to learn about traditional local cultures. Next, they flew to Tanzania and spent a night at an elegant hotel in coffee country before setting off on a Serengeti safari. Here, they saw huge herds of buffalo, zebras, giraffes, antelopes, elephants, and more, as well as predators like lions and cheetahs. 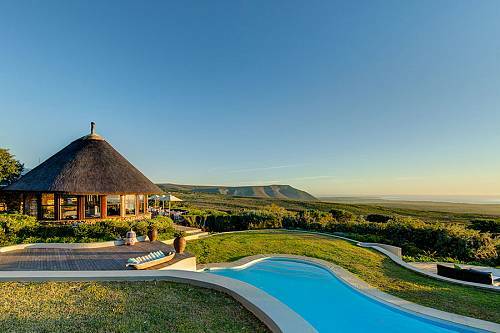 Their fabulous safari lodge gave them gorgeous views of the open plains to enjoy from their private balcony. Continuing their Gorilla Trekking and Tanzania Safari Package, they hit the other Tanzania highlights: Ngorongoro Crater and Lake Manyara. The Ngorongoro Conservation Area is a beautiful paradise with mountains covered in lush forest, and Lake Manyara is famous for the enormous flocks of flamingos that visit every year. On their final day, they visited a local project that provides employment opportunities to Tanzanians with disabilities. They had lunch at the center and toured one of the handicraft workshops. Then it was time to say goodbye to Tanzania and return home with incredible memories to share with family and friends! Welcome to Rwanda! Upon arrival into the capital city of Kigali, enjoy a transfer to your hotel. The day is at leisure to unwind, take a dip in the outdoor pool, and sample the offerings of the onsite restaurants and bars. After breakfast, depart on a guided city tour, which includes a visit to the Kigali Genocide Memorial. Enjoy lunch in town, then set off on a scenic drive to the famously beautiful Volcanoes National Park—your base for gorilla trekking. Settle into your cozy chalet set amidst lush gardens, soak up the views of hazy blue mountains, enjoy delicious meals of fresh produce, and rest up for tomorrow’s adventure! This is it—time for gorilla trekking in Volcanoes National Park! 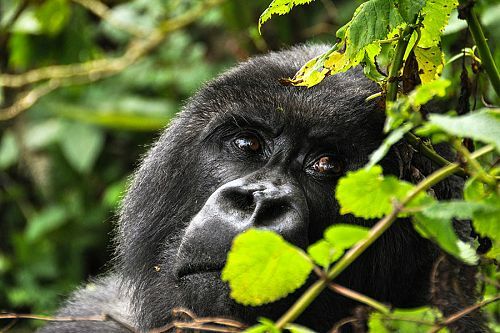 With the help of expert guides, trek through dense, untamed jungle, passing through gorgeous vistas of green valleys and misty volcanic peaks, until you come across a family of endangered mountain gorillas in the wild. Watch in awe as these incredibly human-like creatures interact with each other mere feet away. You’ll be able to spend an hour with the gorillas before returning to town. This afternoon, visit the Iby’iwacu Cultural Village to learn about traditional local cultures and take in some music and dancing. Head back to the lodge for a scrumptious dinner and recount the day’s adventures over a crackling fire. This morning, embark on a golden monkey trek in Volcanoes National Park. Watch these adorable, endangered monkeys leap from tree to tree after you’ve tracked them down in the forest. Return to Kigali via a scenic drive, taking in the thousand shades of green that cover these beautiful hills. It’s time for a change of scenery as you depart for a Tanzania safari! Fly to Kilimanjaro Airport and enjoy a transfer to your hotel for the evening—a tranquil oasis surrounded by coffee estates, with the beautiful Mount Meru in the background. If you’re looking for something to do this afternoon, try bird watching in the gardens, cycling through the lush farmland surrounding your hotel, or coffee tasting in the Burka coffee estate. Today, fly to Serengeti National Park for an iconic African safari experience. You’ll be met at the airstrip and enjoy your first game drive en route to Kubu Kubu Tented Lodge. Settle into your home for the next 3 nights—a spacious, permanent tented cottage built on a wooden platform. Your private balcony offers breathtaking views of the Serengeti plains and distant mountains. Cool off with a dip in the pool and enjoy a delicious communal meal in the dining tent. Over the next 2 days, you’ll discover the legendary Serengeti National Park, one of the most famous wildlife viewing regions in all of Africa! The open plains provide a home for large herds of buffalo, zebras, giraffes, antelopes, elephants, and more, as well as predators like lions and cheetahs. 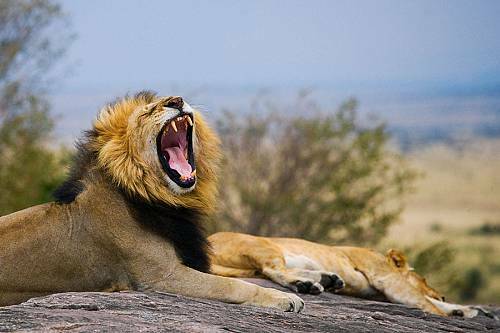 Catch the thrilling safari action on morning and afternoon game drives. Optional excursions (additional cost) include a hot air balloon safari and a local village visit. Next up on your East Africa adventure is the Ngorongoro Crater. Drive through the Ngorongoro Conservation Area en route to Acacia Lodge, an elegant country house with breathtaking views over the Great Rift Valley. 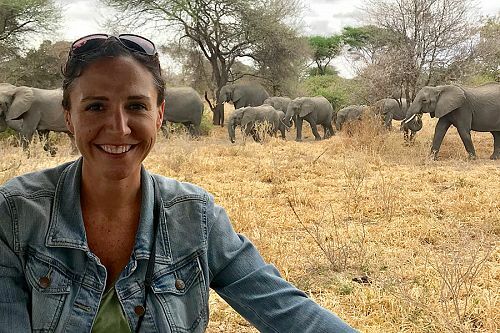 Enjoy a day on safari in the crater, first soaking up the panorama from the 2,300-meter-high rim, then descending into the crater itself, which is home to 25,000 animals. Today, enjoy a game drive in Lake Manyara National Park, one of the most underrated game viewing areas in Tanzania. See some of the park’s famous tree-climbing lions, and in the rainy season see massive flocks of flamingos turn the lake into a sea of pink. Return to the lodge for a final delicious dinner and drinks around the campfire. Drive back to Arusha this morning. Enjoy lunch at Shanga, a project that gives Tanzanians with disabilities the chance to support their families. Time permitting, visit the workshop and check out the unique, handmade creations. After lunch, it’s time to begin your journey home.